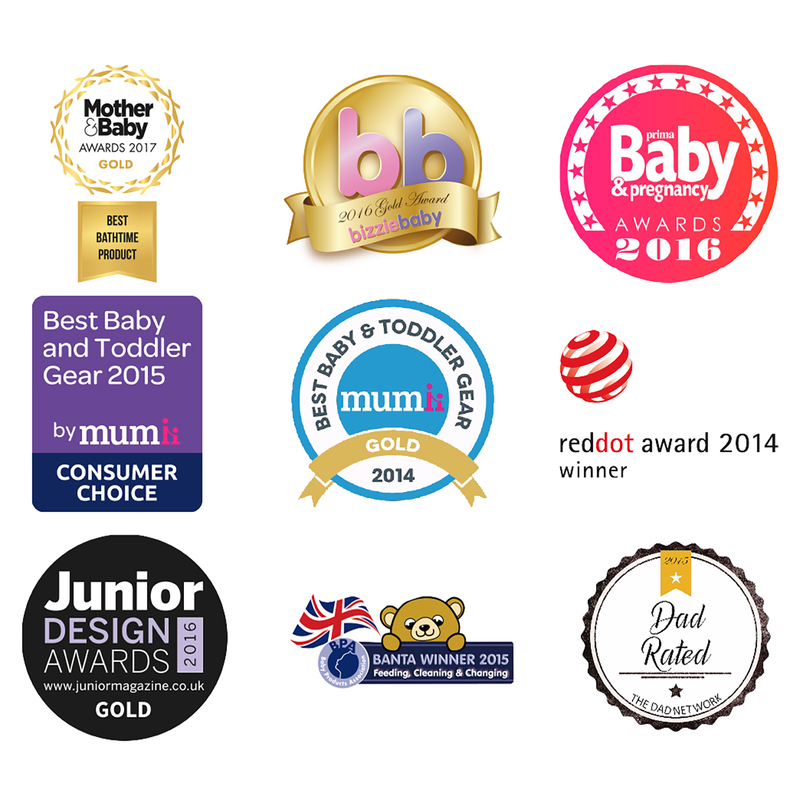 Winner of the prestigious Mother & Baby Gold award (2017) and Junior Design Gold award (amongst many others), the Shnuggle Bath is one of the top-rated baby baths available today. Designed to make bath time fun and stress-free, the Shnuggle Bath supports the smallest of babies and newborns right up to 12 months plus. The foam backrest is warm and comfortable against baby’s delicate skin and the clever bath shape means that baby has plenty of water around them to keep them warm. Thanks to its compact size, the bath requires only 2 litres of water and fits inside most kitchen sinks too. Baby is kept securely supported at all times due to the ingenious ‘Bum Bump’ which helps them to sit up and see you during bath time. The bath also features rubber feet which provide extra grip so that you can bath safely on almost any surface. No wonder its winning awards by the bucketload!